I-275 to N on KY 17, Left on Hands Pike, Left on Tamarack, Left on Evergreen, Left on Hawksridge. 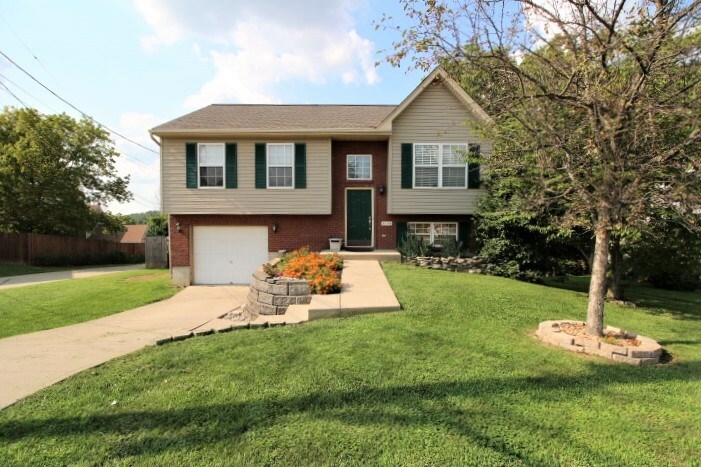 Beautifully Updated Split Level with Fenced Yard on Cul-de-sac Street! Freshly Painted/Newer Laminate Flooring Throughout/Updated Baths with New Vanities & Tile Flooring/Cathedral Ceilings/Eat-in Kitchen with Breakfast Area and Walkout to Deck/Finished Lower Level with Study, Full bath, Family Room with Walkout to Yard/Oversized Garage and More!